The biotechnology space is filled with new drug makers and treatments that help make lives better, and large pharma has typically tapped into these smaller innovators to fill out their own businesses. With increased merger and acquisition activity in the biotech sector, ETF investors may look to targeted plays to capture the up-and-coming companies. 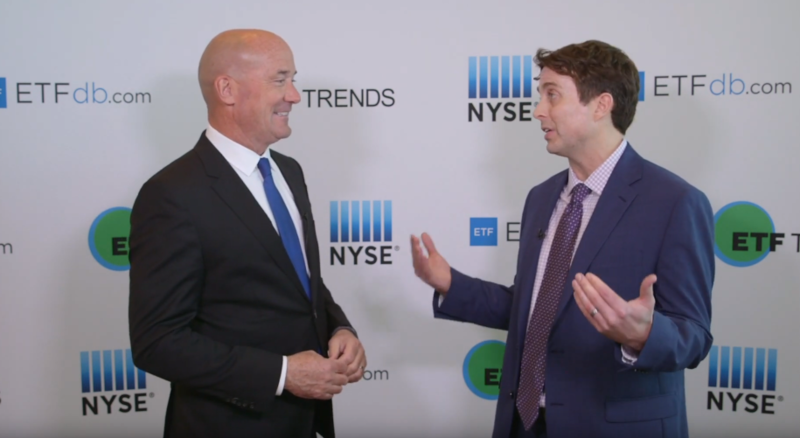 “We’ve had a lot of activity in the M&A side – mergers and acquisitions, huge deals, which really have driven valuations across the whole space,” Andy Hicks, SVP, Director of Portfolio Management & Research, ALPS, said at Inside ETFs. As a way to gain exposure to these smaller treatment developers, ETF investors can look to something like the ALPS Medical Breakthroughs ETF (NYSEArca: SBIO), which focuses on small- and mid-cap companies that have one or more drugs in either Phase II or Phase III trials. Biotech ETFs that focus on smaller companies have been enjoying a nice boost this year as larger companies begin to sift through smaller researchers to build up their portfolios. Many big pharmaceutical and biotechnology companies are no longer relying on blockbuster drug sales as many of their intellectual property rights expire. Instead, many are now relying on targeted or specialized therapies or treatment methods, which has increased the demand for mergers and acquisitions for smaller developers and research companies. Consequently, investors may turn to targeted plays like the SBIO, which invests in stocks of mid-cap and small-cap companies with a market capitalization of no less than $200 million and no more than $5 billion. It seeks to replicate the performance of the Poliwogg Medical Breakthroughs Index, by investing in the stocks of companies as per their weightings in the index. The component holdings have one or more drugs in either Phase II or Phase III U.S. Food and Drug Administration clinical trials. In a Phase II trial, the drug is administered to a group of 100-300 people to see if it is effective and to evaluate its safety. In a Phase III trial, the drug is given to a larger group, between 500-3,000 people, to confirm its effectiveness, monitor side effects, compare it to commonly used treatments and collect information that will allow the drug or treatment to be used safely.